Caroline Harding- Ritter’s fascination and passion for interior design and architecture began at a young age, but it is with her comprehensive education and professional experiences that she has turned her passions into a promising profession. 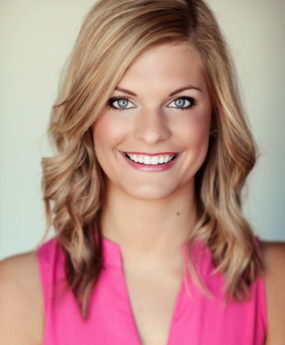 Caroline attended Cape Central High School, followed by attending the University of Missouri, where she obtained her Bachelor’s degree in Hospitality Management, as well as a minor in Human Development and Family Studies. After graduating, Caroline packed her bags and moved to St. Louis, Missouri where she worked at Restoration Hardware as a design consultant. The experience allowed Caroline to pursue her passion for a living, and create the perfect space for clients. Home has always been where Caroline’s heart was, so after a year in St. Louis, she returned to her hometown, Cape Girardeau, to start her career in real estate. Experiencing such polar environments and life in the big city, Caroline grew to really appreciate the small-town uniqueness of Cape Girardeau. Embracing her home-town connections, she has created a network of friends and associates that extends across a wide range of social spheres. Caroline truly believes that a home is where a person makes their most cherished memories, so being a guide to that process is endlessly rewarding for her. Caroline understands what makes Cape Girardeau a special home for so many and is dedicated to helping you find a place to make these valuable memories. In her free time, you’ll find Caroline with her husband and dog exploring downtown Cape or curled up on the couch with some architectural design magazines. It is also very important that she remains involved and give back to the community that has given her so much. Caroline’s fresh outlook and positive attitude will never disappoint and she is genuinely dedicated to meeting the needs of her clients.